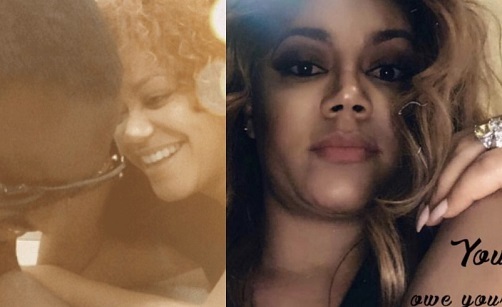 A fan has insulted Jim Iyke for leaving his ex, Nadia Buari who is now happily married with kids. 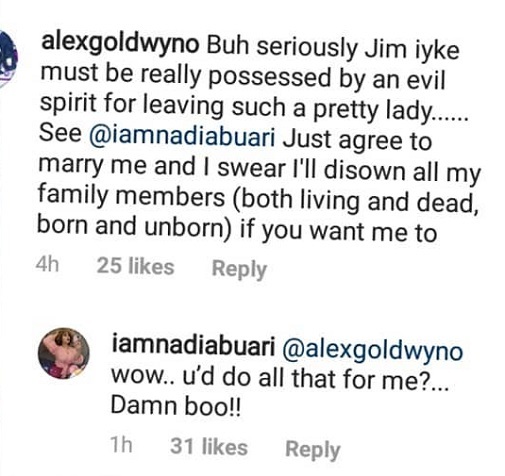 The fan commented under Nadia's post saying Jim Iyke must be indeed possessed with a demon for daring to leave her. He then promised to disown his dead and living family members, and even the unborn ones if Nadia promises to be his. Lol. But you know it's broke 'no goal at life' guys that makes such promises. Won't Nadia regret her life if she dares says yes lol. The hunger that will wire her just began doing press up. Mumu fan!